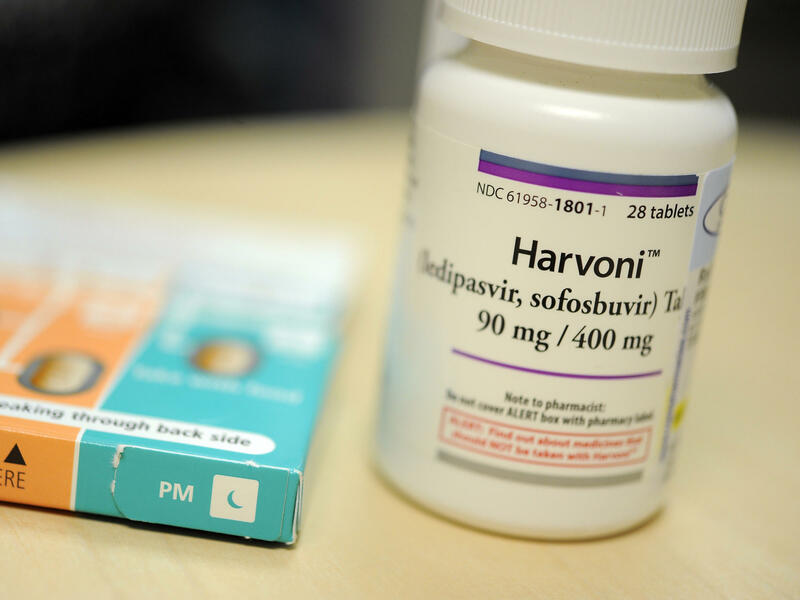 A 12-week regimen of Harvoni is 90 percent effective in curing an infection with hepatitis C, doctors say. It also costs about $95,000. Sarah Jackson had quit abusing drugs and had been sober for six months when she found out she had hepatitis C.
"That was weeks of not sleeping and just constant tears," she says. "I had already put a lot of that behind me and had been moving forward with my life and this was just a major setback." To get rid of the infection, her doctor prescribed Harvoni, one of the new generation of highly effective hepatitis C drugs. But Jackson never started the treatment because her insurance, Indiana's Medicaid, refused to pay for it. "There's nowhere else to go," says Jackson. "The doctor tried and now I have no other place to turn." More than 3 million people in United States are infected with hepatitis C, a virus that can destroy the liver and cause liver cancer. The number of cases is increasing, and most new cases are attributed to injection drug abuse, according to the Centers for Disease Control and Prevention. In the last few years, new medications have come on the market that can cure hepatitis C with a more than 90 percent success rate. But these new drugs are famously expensive. A full 12-week course of Harvoni costs about $95,000. Because of that, Medicaid in many states restricts who receives the medication. Medicaid in at least 34 states doesn't pay for treatment unless a patient already has liver damage, according to a report released in August. There are exceptions—for example, people who also have HIV or who have had liver transplants—but many living with chronic hepatitis C infection have to wait and worry. "It is just not feasible to provide it to everyone," says Matt Salo, director of the National Association of Medicaid Directors. "States have to make sure that we're going to prioritize and that those who need it the most get priority treatment, and that's what you're seeing." States get a discount on the drugs, but Salo says even if they could cut prices in half, treating everyone with hepatitis C would still cost too much for states' limited Medicaid budgets. Officials in Washington state, for instance, estimate that at full price, treating everyone on Medicaid for hepatitis C would cost three times the state's total pharmacy budget. States are caught between the high prices and those who say that rationing care is illegal. "If something is medically necessary, it's medically necessary and must be covered by the Medicaid program," says Gavin Rose, an attorney for the ACLU of Indiana. Rose is representing Sarah Jackson in a class action lawsuit to fight the Indiana restrictions. He argues in the lawsuit that if a doctor says you need a drug, Medicaid must pay for it. The lawsuit cites a recent letter from the Centers for Medicare and Medicaid Services reminding states of the law. Furthermore, Rose argues, treating hepatitis C early would keep the virus from spreading and actually save money in the long run. "We are talking about drugs that might prevent Medicaid from having to deal sometime in the future with treatment for liver cancer, with treatment for liver transplants," he says. There seems to be consensus that the new drugs for hepatitis C are too expensive. Even the U.S. Senate has criticized the pricing in a report released earlier this month. States spent $1 billion last year on Sovaldi, another commonly prescribed hepatitis C drug. A new treatment is set to come to market next year, and that competition may help bring prices down. In the meantime Sarah Jackson will wait for her lawsuit to get resolved. "This is weighing over me every day. I have to worry about it all the time," she says. Despite the anxiety, she's willing to go through it to help others like her who want to be cured. 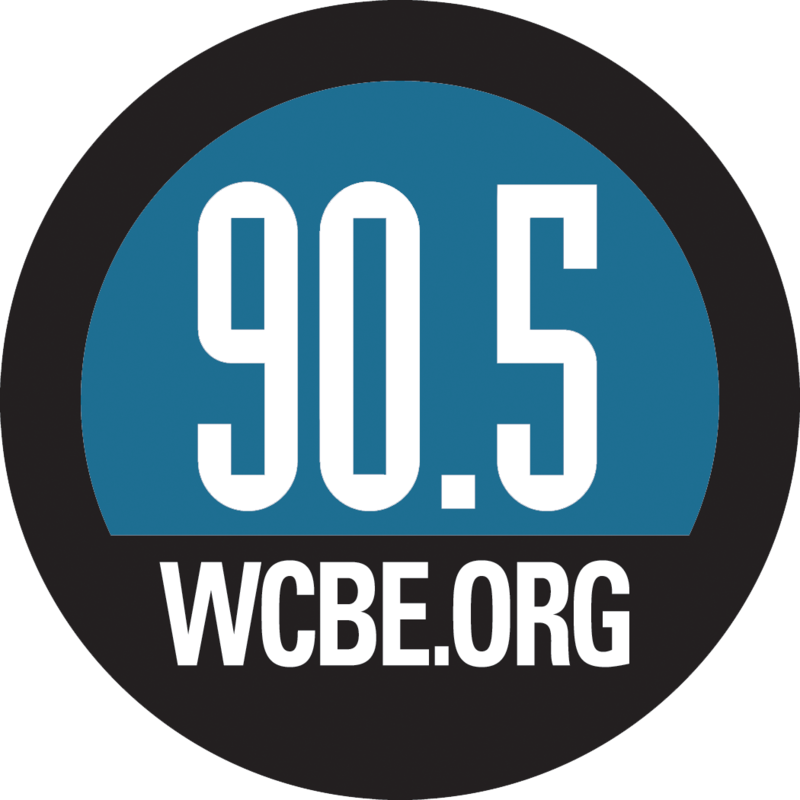 Copyright 2015 WFYI-FM. To see more, visit WFYI-FM. We're going to turn now to a story about how limited resources can lead to tough decisions in public health. More than 3 million Americans have hepatitis C, according to the U.S. Department of Health and Human Services. That number is on the rise. The disease can destroy the liver and cause liver cancer, but most people can be completely cured by a class of drugs that came on the market a couple of years ago. But as Jake Harper of Side Effects Public Media reports, that is not an option for many people on Medicaid. JAKE HARPER, BYLINE: Sarah Jackson had quit abusing drugs and was sober for six months when she found out she had hepatitis C.
SARAH JACKSON: I had already put a lot of that behind me and had been moving forward with my life. And this was just a major setback emotionally. HARPER: Her doctor prescribed Harvoni, one of the new hep C drugs, but Jackson never started the treatment. She wasn't sick enough, so Indiana's Medicaid wouldn't pay for it. JACKSON: I cried, and I thought, oh, well, that's it. There's nowhere else to go. HARPER: New hepatitis C medications are famously expensive. A full course of Harvoni costs almost $100,000, so Indiana put restrictions on who can get the drugs. And Indiana has plenty of company. Medicaid in at least 34 states doesn't pay for treatment unless a patient has liver damage. There are exceptions - for example, people who have HIV or who have had liver transplants - but others living with chronic hep C infection have to wait and worry while things get worse. MATT SALO: It is just not feasible to provide it to to everyone. HARPER: Matt Salo heads the National Association of Medicaid Directors. SALO: States have to make sure that we are going to prioritize and that those who need it the most get priority treatment. And that's what you're seeing. HARPER: States can get the drugs at a discount, but Salo says even if they could cut prices in half, treating everyone with hep C would still cost too much. Research out of Pennsylvania shows that nearly half of Medicaid patients in that region are denied coverage. And officials in Washington state estimate that at full price, treating everyone on Medicaid for hep C would cost three times the state's total pharmacy budget. States are caught between the high prices and those who say that rationing care is illegal. Gavin Rose is an attorney for the ACLU of Indiana. GAVIN ROSE: From a legal perspective, the cost of treatment is not something that is considered under the Medicaid act. When something is medically necessary, it's medically necessary and must be covered by Medicaid. HARPER: Rose is representing Sarah Jackson in a class-action lawsuit to fight the restrictions. In the lawsuit, he says the federal government agrees. He cites a letter from the feds reminding states that if a doctor says as a drug is medically necessary, Medicaid must pay for it. Also, Rose argues that treating early would keep the virus from spreading and actually save money in the long run. ROSE: We are talking about drugs that might prevent Medicaid from having to deal sometime in future with treatment for liver cancer, with treatment for liver transplants. HARPER: There seems to be consensus that the new drugs for hep C are too expensive. Even the U.S. Senate has criticized the pricing. A new drug is set to come to market next year, and that competition may help bring prices down. In the meantime, Sarah Jackson will wait for her lawsuit to get resolved. JACKSON: So this is weighing over me every day, you know? To have been clean for over a year right now and still be thinking about this - now having to go through this fight, I have to go back. I have to dig it back up again. It's for a good cause, but, yeah, I wish it would - I wish this wasn't having to happen. HARPER: Despite the anxiety, she's willing to go through it to help others like her who want to be cured. For NPR News, I'm Jake Harper in Indianapolis. MARTIN: This story is a part of a reporting collaboration that includes NPR, Side Effects Public Media and Kaiser Health News. Transcript provided by NPR, Copyright NPR.